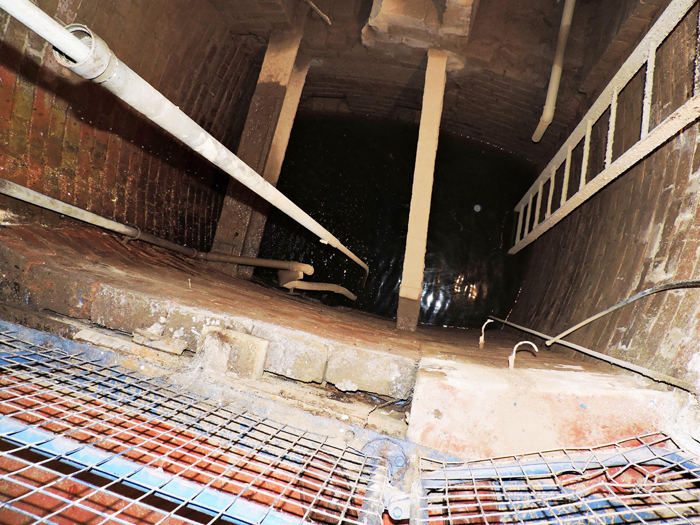 The history of the municipal water supply for Hereford City is reflected in the building sequence of the original pumping station, which is now a Grade II* listed building and the main building of the Waterworks Museum. 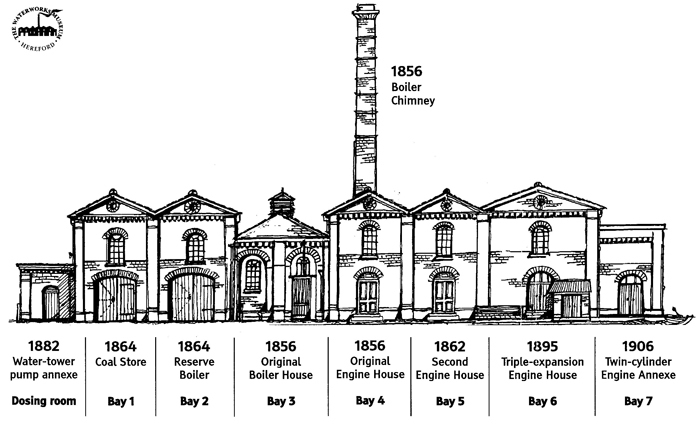 It began in 1856 with the two central sections and the boiler chimney and finished with the western annexe in 1906. Visit Historic England to view the entry for the Broomy Hill Pump Station, the old museum building as a Grade II* Listed Building which provides an independent summary of the history of the pumping station. 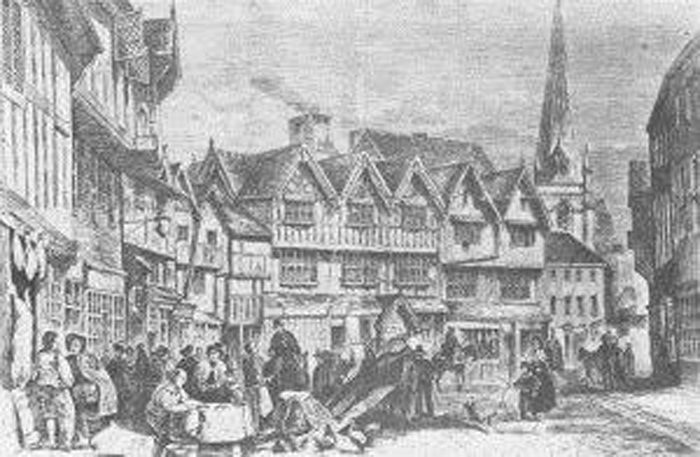 Cities and towns grew steadily in the 19th century and outbreaks of cholera and typhoid fever caused by infected water were common in Hereford. 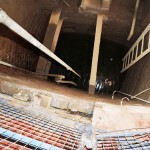 Rivers and underground water could be full of sewage and industrial waste. By the middle of the century the link had been made between bad water and disease and proposals for a waterworks began to be discussed. 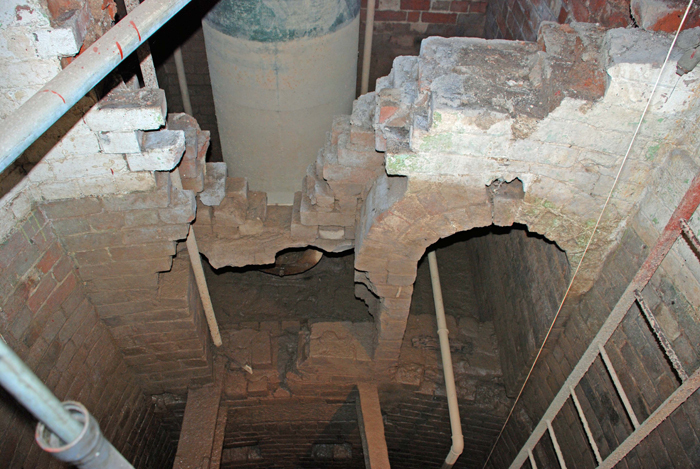 The Hereford Waterworks started in 1856 with the installation of a beam engine pumping water to a reservoir on Broomy Hill. The works continued to grow to meet the demand of a growing population. A second beam engine was installed in 1862 and the large triple expansion beam engine in 1895. The water tower on Broomy Hill was built in 1883 to improve water pressure for the new houses on the higher ground and for fire fighting in the City. Developments in other parts of the County were slower. In Leominster, people took their water from public pumps or directly from the river, while the richer townsfolk has their own private wells. It was not until these became infected by sewage and the rich people began to die that anything was done. A waterworks was only constructed in 1865 after a typhoid epidemic in which 38 people died, in the building that is now the Tangye House at the Museum. Progress was also slow at Ross on Wye until Alderman Thomas Blake, a man of humble origins who had risen to become a Member of Parliament, decided to take action. 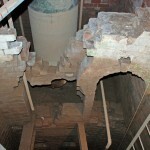 Alton Court waterworks was built in 1887 using water from deep wells, called boreholes. Important engines and pumps from Alton Court and Leominster are on display in the Museum. So wrote Hereford’s first municipal engineer, Timothy Curley, in the 19th century – doubtless in awe of the challenges before him. He was dismayed by the spectacle of cesspools and open sewers, sources of foul ‘miasmas’ believed to cause infections, for in those days noxious stench generally brought with it life-threatening diseases. Extract from: ‘The struggle for health in 19th century Hereford’ (Jane Wise). 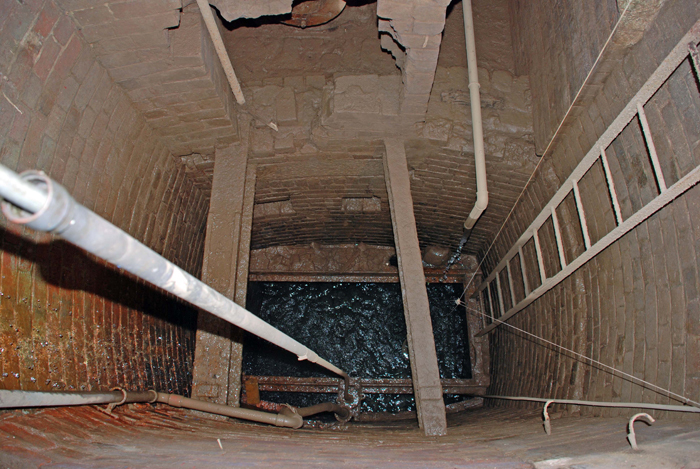 Water was extracted from the River Wye via an intake and it flowed to the pumping station via a sump (a well) from where it was pumped into the works. 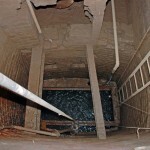 These are images of what is left of the sump and that can be seen at the Museum.